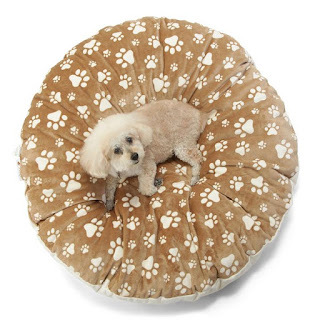 Can be used as a lounger or bed to provide a comfortable spot for your pets to rest. Dedicated pet owners and friends of Ask Ariel have launched The Canine Cloud, a premium lounger/bed manufactured here in the United States. Most of us have witnessed our pups pawing at their beds or blankets trying to get it "just right", but unfortunately many beds on the market make it impossible. The Canine Cloud is slightly under stuffed with a unique blend of soft, high-quality fiberfill so that pets can redistribute it to find their perfect comfort level allowing them to have a better night sleep. For more on The Canine Cloud story and/or to purchase Click Here . Bonus 10% of gross profits for the months of June and July will be donated to the Hand in Paw rescue mission.